Now for the dash home, it's all down hill from here. We make it to South Mission beach latish afternoon. South Mission Beach with Dunk Island on the right. Beachcomber Coconut Holiday Park, Sth Mission Beach. hold your arms up in the air on a Tuesday, near reception which closes at 7PM. One of the Fiddler Crabs on a creek that runs into the Hull River. A little Mudskipper on the same creek. Agile Wallaby at Sth Mission Beach. Dunk Island off Mission Beach. 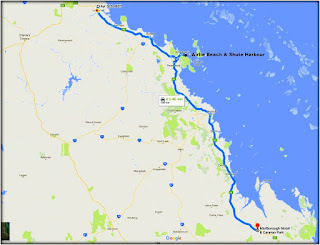 We leave Mission Beach and head off for Ayr. Sth Mission Beach in the morning. Stinger net at Sth Mission Beach all wrapped away until summer. Heading off for a day's fishing from Sth Mission Beach. 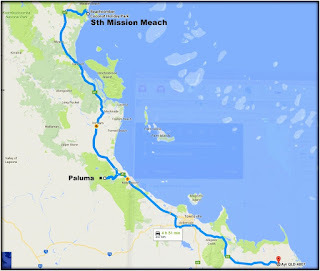 We finally saw a Cassowary at Sth Mission Beach.....as we are driving out. company COFCO. The origin of the sugar cane industry in Tully dates back to 1865. I'd have to dig up that money I got from the bank job I did in 1964 to get that £50 pounds. 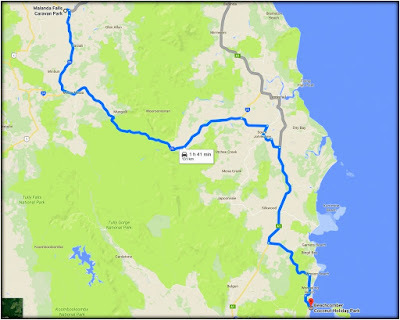 Paluma Bridge across Little Crystal Creek. 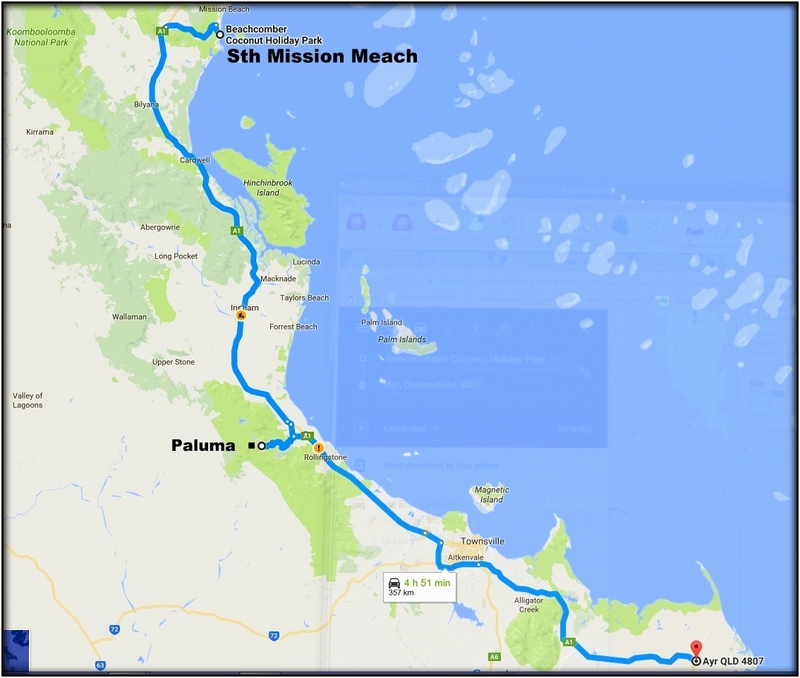 The Paluma Bridge was built during the 1933 during the depression by relief workers. It is the only arch road bridge that remains in service in Queensland. People enjoying a swim at the Little Crystal Creek waterholes. In the Bowen region they still burn sugar-cane before harvesting. Moisture from burning sugar-cane creates its own clouds. Wanker, sorry, Airlie Beach. Did not like this (as you might have guessed) place. They expected us to purchase a ticket to park here, HA Ha. Well I'm sure us parking here while we had our lunch with no ticket didn't send them broke. Lunch in the middle of the highway at Sarina. Nice to see that gentleman putting his rubbish in the bin. With the radio crackling with the lightning strikes we pushed on into the looming tropical storm. Luckily the highway skirted around the edge and we were able to miss the wind and most of the rain. on the beaches. I thought that strange as on the map it was in the middle of nowhere. After arriving at the town , this is it, Lynn realised she was looking at a Marlborough overseas somewhere. 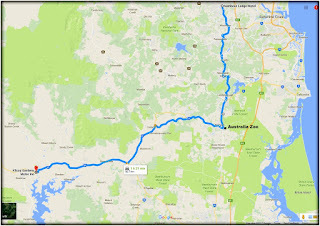 main road to check out the Motel & Caravan Park. 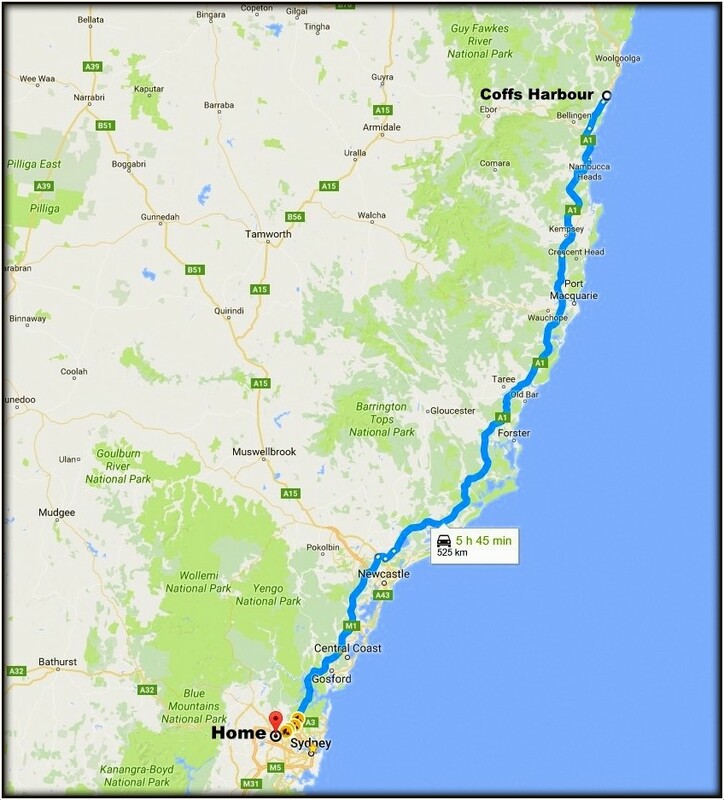 I told Lynn it was either the motel or the car as it was too far to the next place. With an all-you-can-eat buffet dinner and friendly staff it worked out well. for Kangaroos and Plumb-headed Finches. We had this curious pig as a neighbour. The rear of the Marlborough Motel. Possibly an old Peanut Thrasher or sugar-cane related machine. Carved into the timber on the side was, Stolzenbergs Builders, Kingaroy. 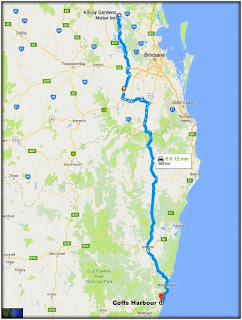 Not wanting to get to Australia Zoo on a Sunday, and to get home by the 29th, we have some full day's (not that we haven't had any of those) driving ahead of us. 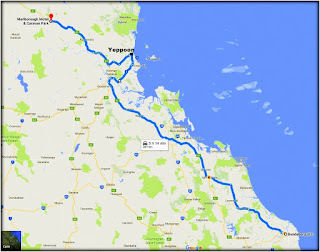 Next stop Bundaberg. I have also been told not to stop to take photo. in the wild along the road from Yeppoon to Rockhampton. Frenchmans Creek timber rail bridge, Lakes Creek Rd. 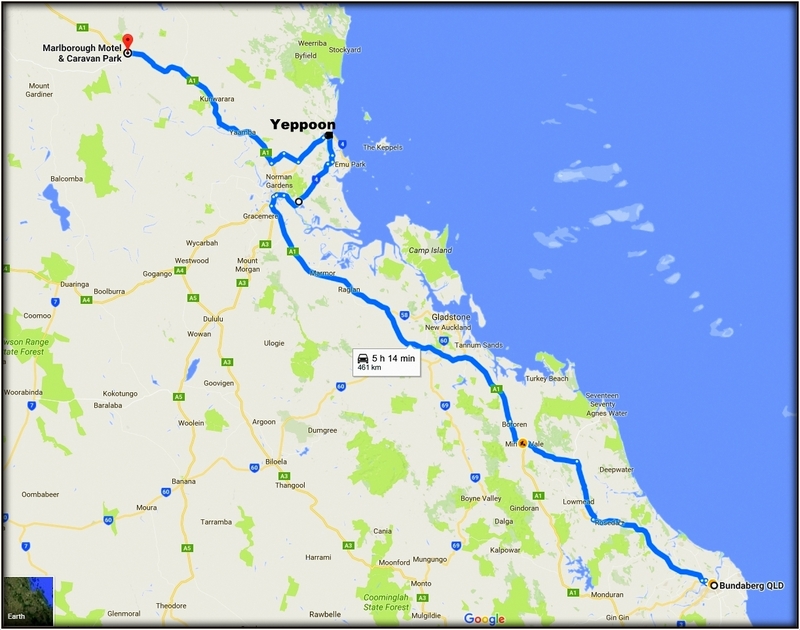 There was a garbage tip nearby at Nth Rockhampton. Australian Ibis. Aurizon 3759 is a 3700 Class Electric Locomotive built by Siemens AG. Three of these locomotives pull 13,500 tonnes of coal to Gladstone. I think Dr Google was lost..........he was checking his Gregory's Street Directory. I had to do a u-turn on the highway to get the photo. The buildings that sugar-money built in Bundaberg. The buildings that sugar-money built. This is where they issue 'preach-scriptions'. Burnett River from Quay Street, Bundaberg Central to Perry Street, Bundaberg North . Burnett Bridge is a heritage-listed road bridge crossing the Burnett River from Quay Street, Bundaberg Central to Perry Street, Bundaberg North. Nice to see the sun again after a few overcast days. Spent a bit of time at Hervey Bay. 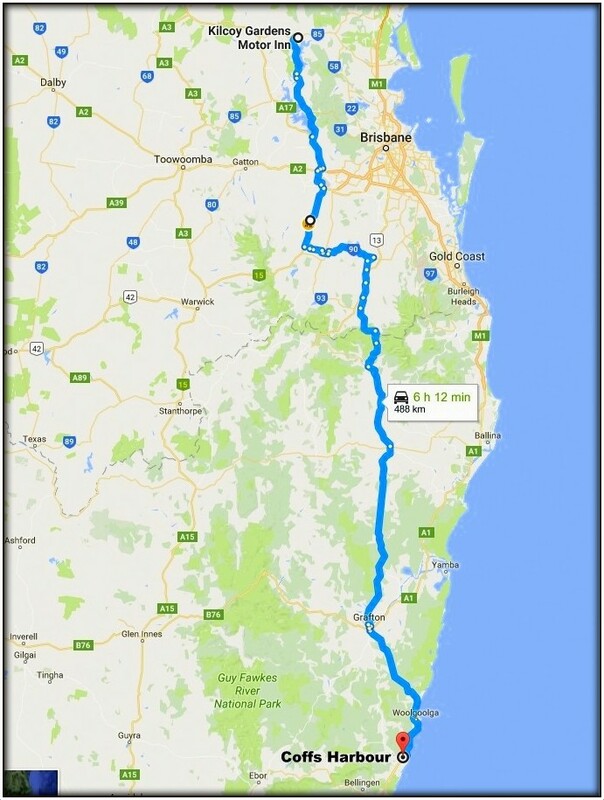 Booked a motel in Nambour so as to get to Australia Zoo early enough, hopefully, before the crowds arrive. A Queenslander with the verandah missing. Miner's Arms Hotel near Hervy Bay. 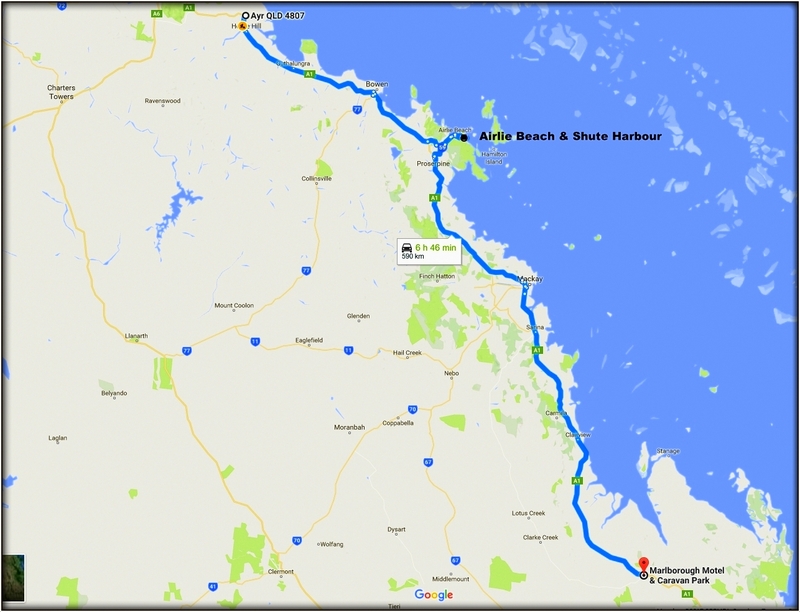 The Urangan Pier points out towards Fraser Island 11 kms (7 miles) away. The Urangan Pier was built in 1917, and extended 1124 metres (3688 feet) into Hervey Bay, to export sugar, coal and timber. In the 1980's all exports stopped and the head of the Pier was shortened by 256 metres (840 feet) to its present length of 868 metres (2848 feet). When one fishing rod is just not enough. The lady, in orange, would throw fish to the pelican who would catch it. Looks like an old Manly Ferry at Tin Can Bay. 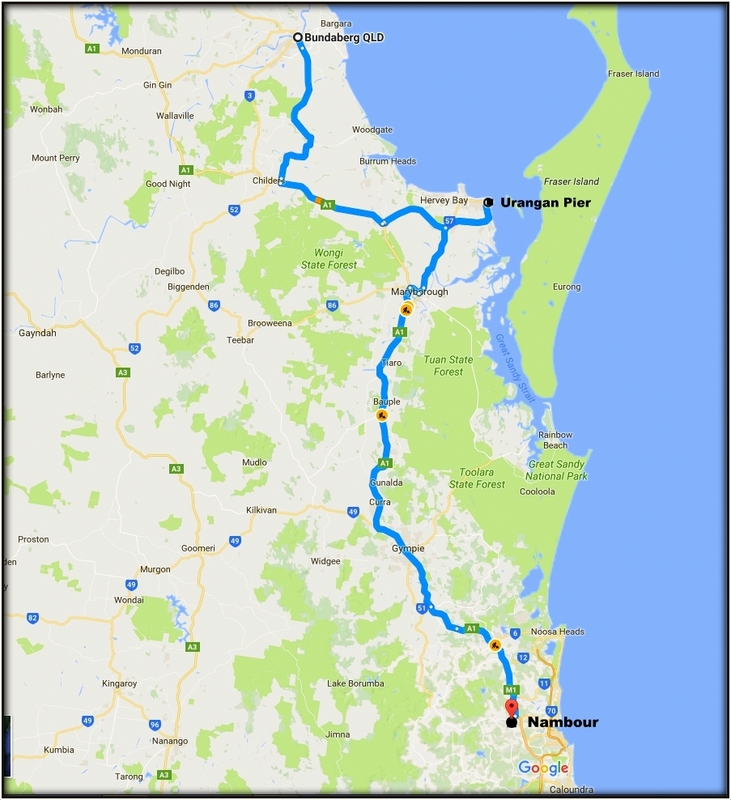 Today will be spent at Australia Zoo, then just a short trip to our last motel stop for the holiday at Kilcoy. Taking the cats for a walk, Australia Zoo. "I was here first". Who's going to give way. Just like being there (not that I have). Nothing like being looked at. If you pay extra, you can pat a Cheeta. There you go kiddies, drink your milk and you to can have nice teeth like these. (an African species) walked up to this Rhino at Australian Zoo. A quick trip to Southeast Asia. 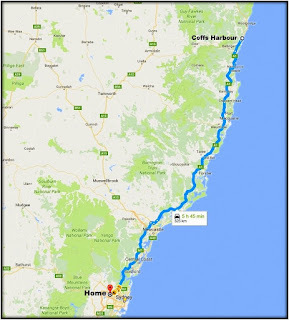 Now for the dash to Lynn's sister's place in Coffs Harbour where we will spend our last night. 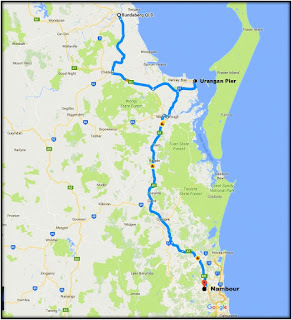 Normal people would go down the highway to Coffs but it's just too boring. 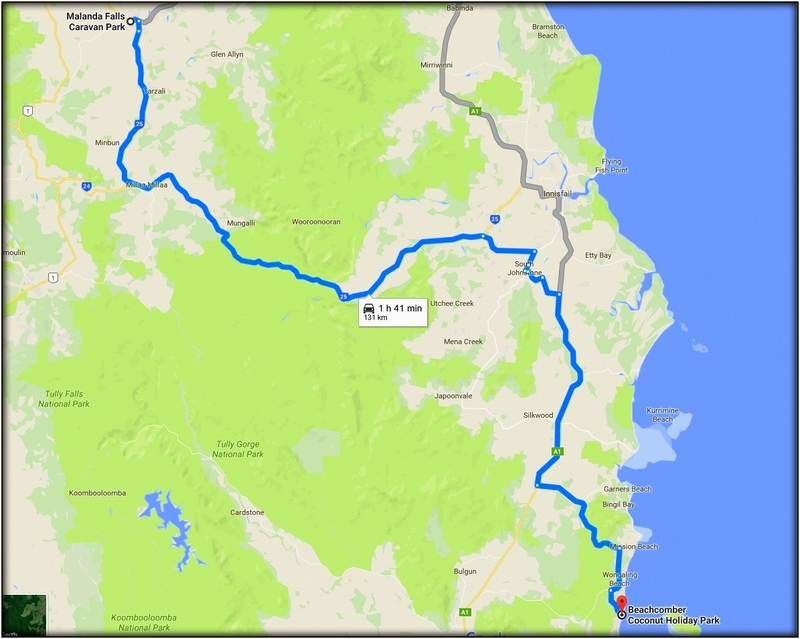 We zig-zagged our way down to Kyogle, missing most of the major roads, which made the trip so much more interesting. Somerset Dam, on the Stanley River, was opened in 1959 after construction began in 1935. This is an Ex RAF & RAAF 1939 De Havilland DH-82A Tiger Moth. VH-ZUP. It was flying over Somerset Dam, Qld. 28/8/16. What happen when you go on holidays and you get your neighbour to look after your indoor plants. I think this Lookout was off Kooralbyn Rd near Kooralbyn. Looking south west. Looking east from the lookout. The resident Lace Monitor at Border Loop Lookout. .........but you had better hurry up. other way every 5 minutes and they don't pull over to the side in there polished 2 wheel drives. 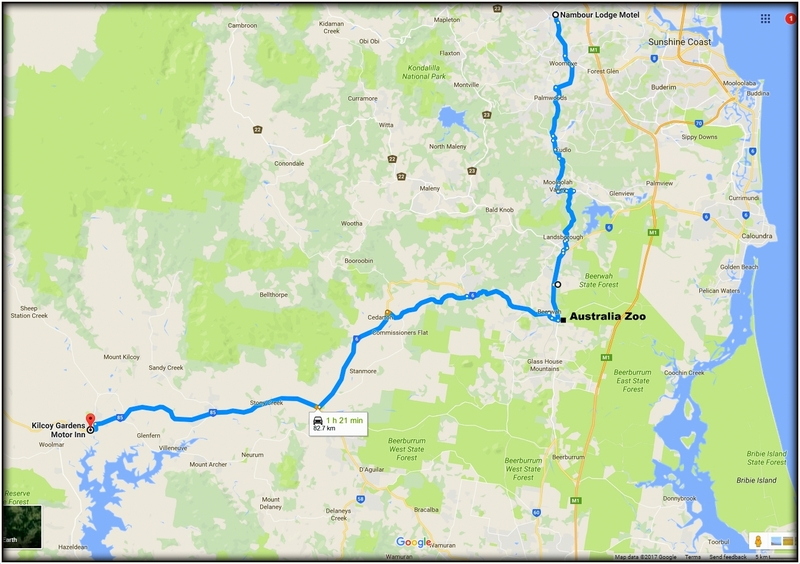 Lunch at Kyogle (2:15pm). Last photo taken, we are almost home. Took no more photos after this. Then I was just down the, seen it all before, highway to home. 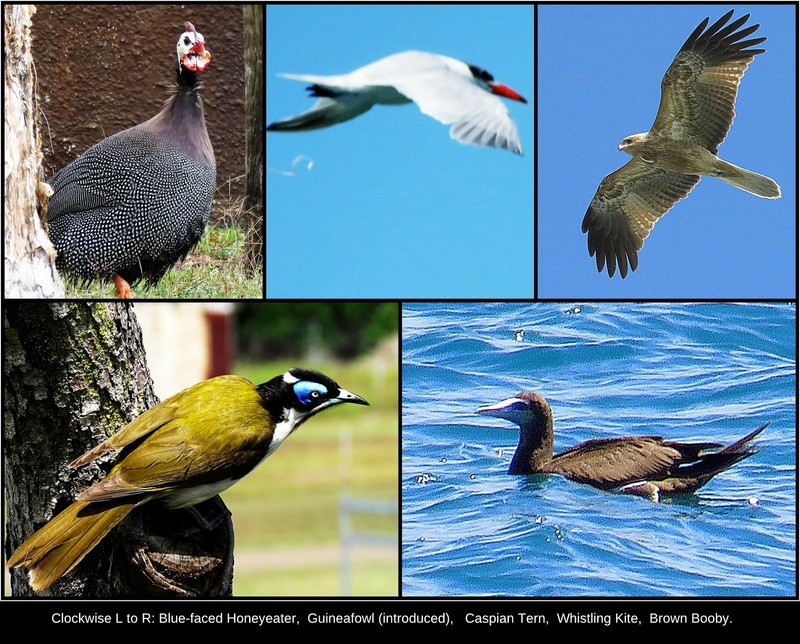 Oh yes, some of the birds. 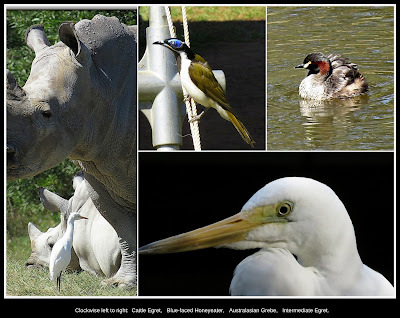 Some of the TYTO Wetlands birds. 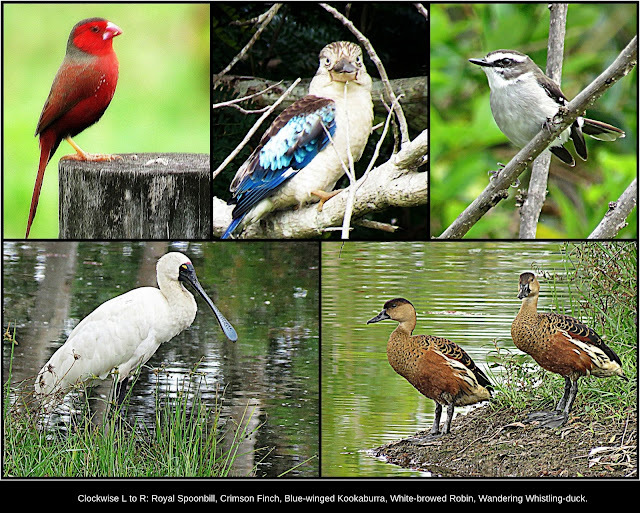 Royal Spoonbill, Crimson Finch, Blue-winged Kookaburra, White-browed Robin, Wandering Whistling-duck. 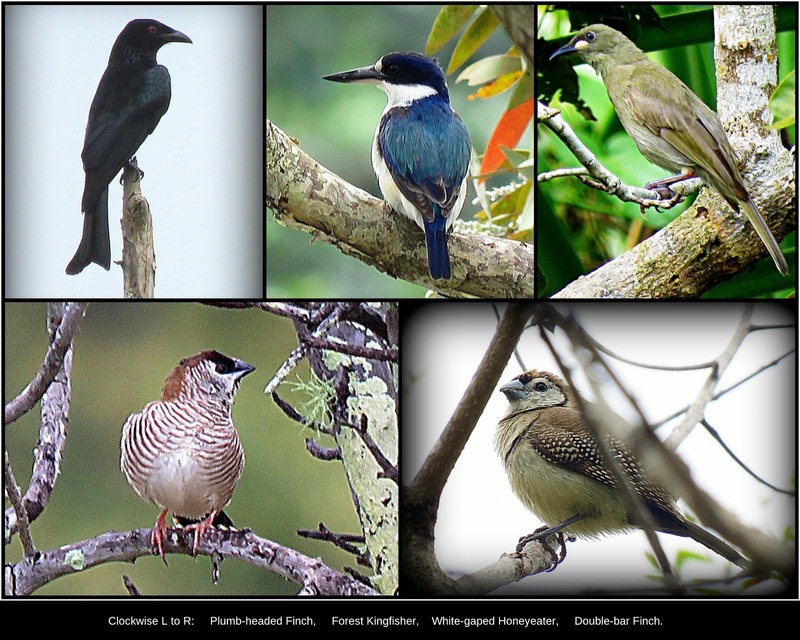 Plumb-headed Finch, Forest Kingfisher, White-gaped Honeyeater, Double-bar Finch. 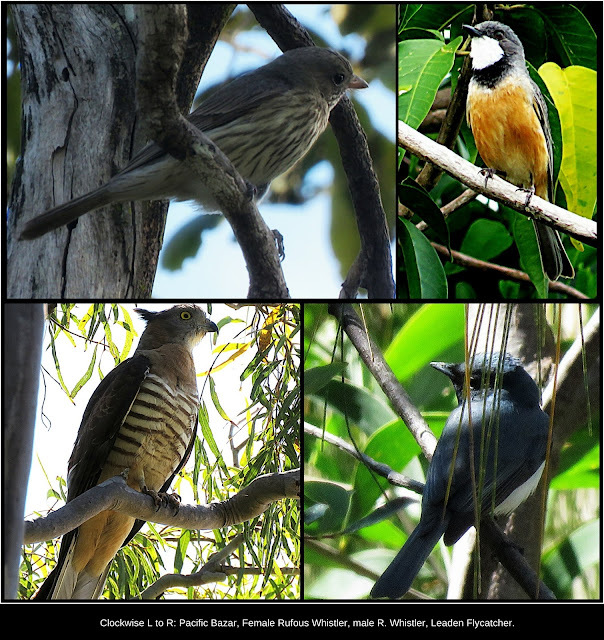 Pacific Bazar, Female Rufous Whistler, male R. Whistler, Leaden Flycatcher. Blue-faced Honeyeater, Guineafowl (introduced), Caspian Tern, Whistling Kite, Brown Booby. Cattle Egret, Blue-faced Honeyeater, Australasian Grebe, Intermediate Egret.